Spandexwear.com – When it absolutely has to fit like a glove! Customers who were registered through the old site need to use the password reset before logging in for the first time. New customers may register during the order process. As always you can contact me anytime with questions or concerns. Thank you! to fit like a GLOVE! 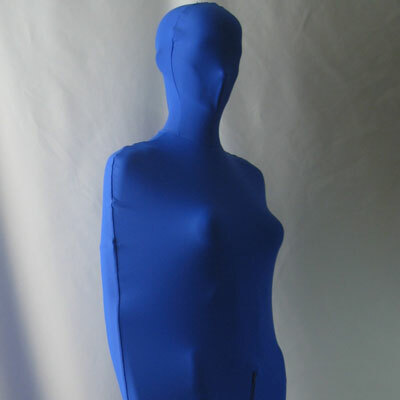 Spandexwear.com specializes in quality spandex clothing and costumes, and offers personalized, discreet service. Our garments are sweatshop free, made to order in beautiful Vermont, USA. We have a huge selection of high quality fabrics and many styles to choose from. You pick the style, the fabric, and then add your choice of the numerous available options. Imagine the possibilities! And if you don’t see what you’re looking for, contact me. Chances are I can put together something custom just for you! Custom and standard sizes are available. You can also purchase the fabric by the yard, and swatches are available for a small fee. If you are new to Spandexwear, I encourage you to take the time to read everything and explore the different garment categories. The best way to see all of the available options and their prices is to click through the steps and configure your dream spandex garment. As always, feel free to contact me with any questions. Depending on the item, order turnaround is 1 – 4 weeks on standard sewn to order items, 2 – 4 business days on fabric and in stock sale items, from time of order to ship date. This varies during certain times of the year, depending on workload and other factors. If you have a specific date you’d like to receive your items, please note it on the order comments. I will do everything possible to get it to you in time. RUSH service is available for a 50% fee, which guarantees your order will ship in 2 – 4 business days. Please contact me if you would like to add Rush to your order. A special note to Retailers- At this time wholesale pricing is not available on our products or fabric.